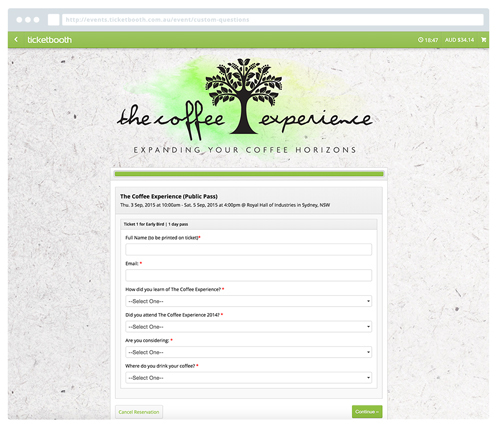 Ticketbooth’s platform has been designed for high demand events. Collect money from attendees with credit card sales, Paypal and more. Easily tracked from one place. Ticketbooth offers a whitelabel solution for festivals that allows a complete rebrand of the ticketing platform, enabling you to manage and control your entire ticketing operations under the guise of your own system. Responsive event page design makes it easy to register on any computer, smartphone or tablet. Allow potential attendees to apply for registration in advance of on-sale. Moderate exclusive access, or collect attendee data for a pre-sale offer. Ticketbooth box office makes processing last minute sales easy and ensures you can capture all registrants information. Ticketbooth’s ticketing platform provides a complete event registration service for exhibitions. 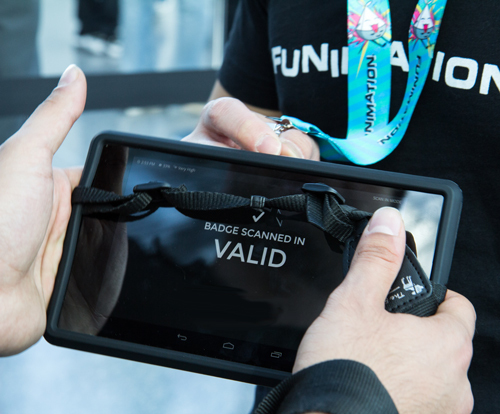 Together with our conference and convention partners, we develop a plan that covers everything from the online registration experience to RFID badge scanning solutions. Ticketbooth’s solutions provides a more secure way to welcome large crowds and beat fraudulent tickets from scalpers. This results in faster lines and a safer experience for crowds. Ticketbooth’s RFID technology allows you to actively monitor your events capacity and provides lead capture for exhibitors. The Ticketbooth platform allows you to gain a wealth of knowledge from your attendees, develop targeted marketing campaigns based on collected demographical information. 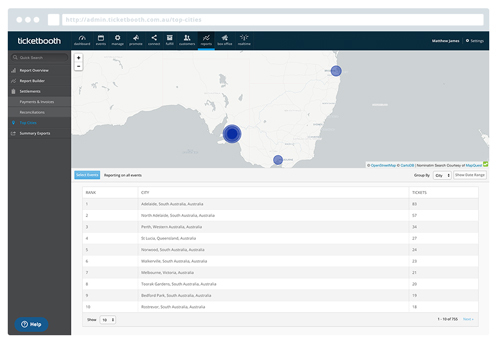 Top cities maps customer data geographically so you can see which areas are responding to marketing campaigns and advertising. Ask your attendees questions to help your research or develop your event to their needs.